Detailing the physical features, habits, territorial reach and other identifying qualities of the American House Spider. 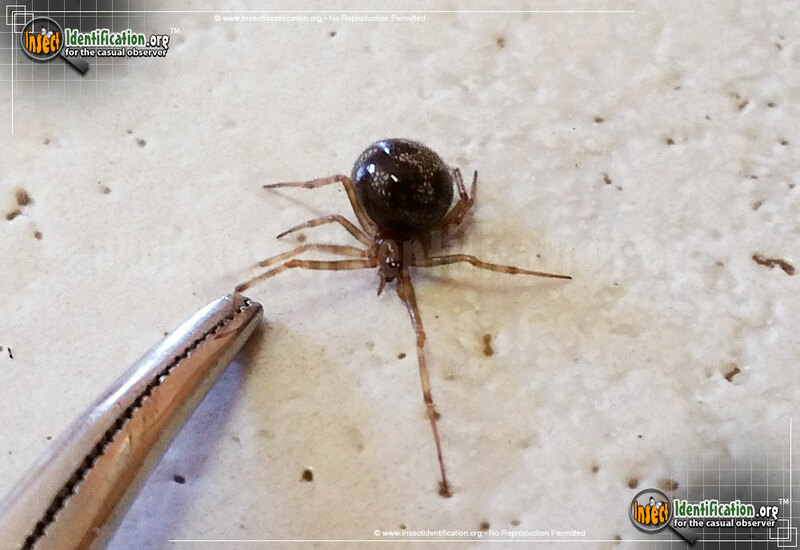 The spindly-legged and very common American House Spider has an iconic spider shape and its messy cobweb is a silver-screen standard. 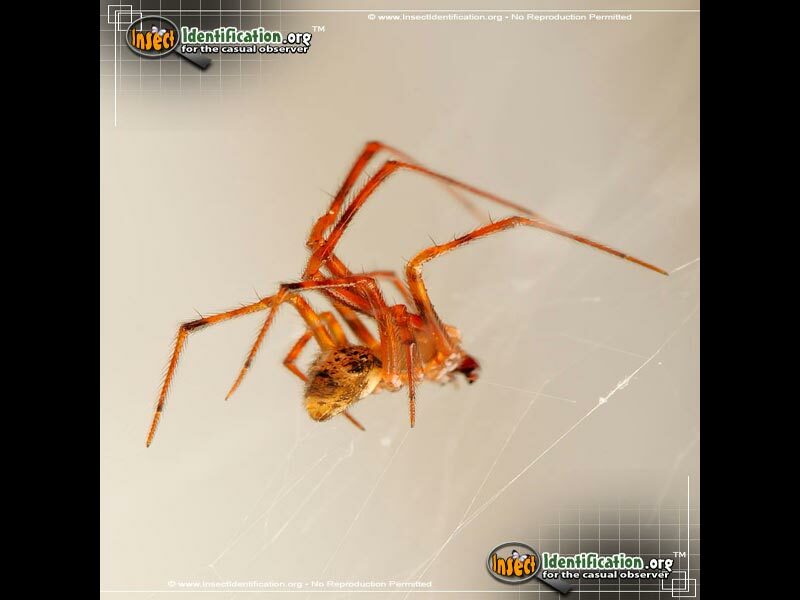 The webs created by American House Spiders are classic Halloween webs: tangled messes in all corners of the attic or windows. This type of web is called a cobweb. 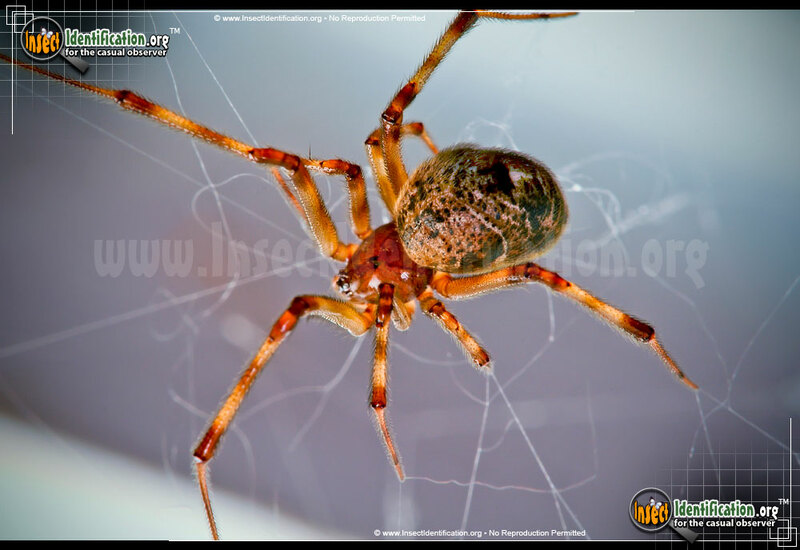 It is not uncommon for multiple females to have their webs in close proximity to one another. 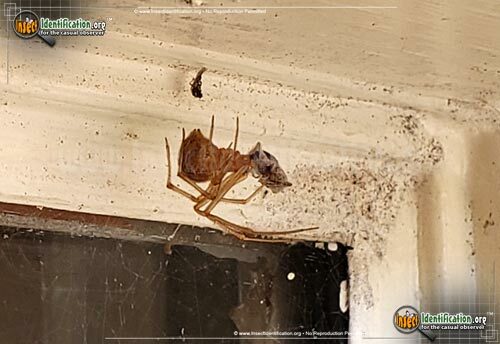 The presence of this spider adds a spooky atmosphere to old or abandoned buildings and homes. 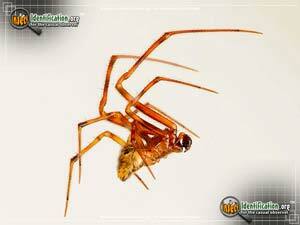 The American House Spider is a Comb-Footed spider. It has long, skinny legs and comb-like hairs on the back tarsi ('ankles'). 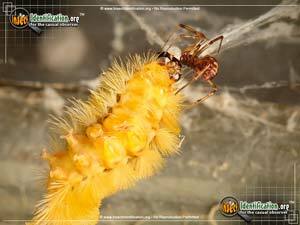 They fling strings of their spider silk at insects that get entangled in their web, furthering their entanglement. The victim is then bitten, injected with venom and eaten at a later time. 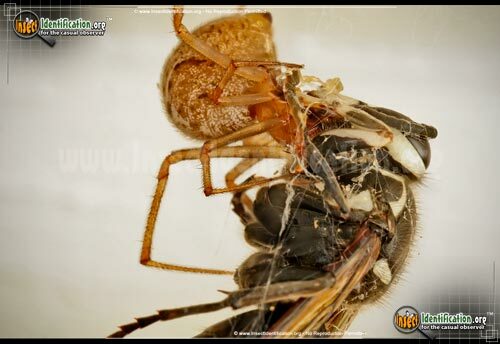 It is moved from the web to allow other prey to fall into the trap. This spider can remain still for extremely long periods of time, waiting for prey and often avoiding notice from humans as well as insects. They have a bulbous abdomen, neither spherical nor flat. Its brown coloring is speckled with white and dark patches and lines. This spider is small and inconspicuous, rarely bothering humans. They are not aggressive. They may opt to 'play dead' if threatened. If handled roughly though, they may bite, which can be painful for a day or so. 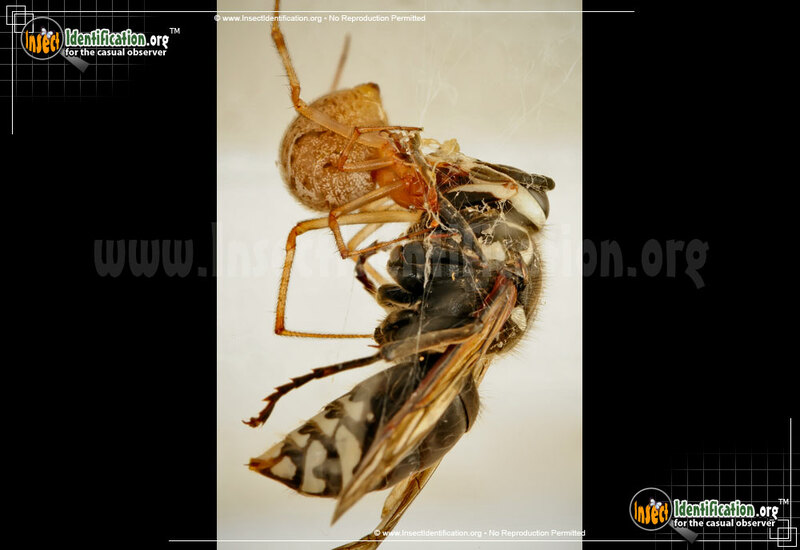 Their venom is not lethal to humans unlike their close relative, the Black Widow. Smaller males approach a female's web when ready to mate. 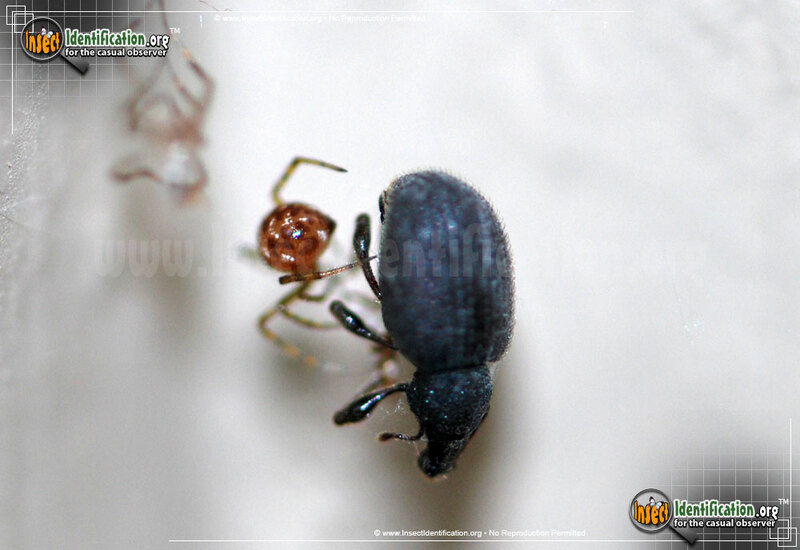 A courtship 'dance' or ritual follows, ensuring the spiders do not attack each other. 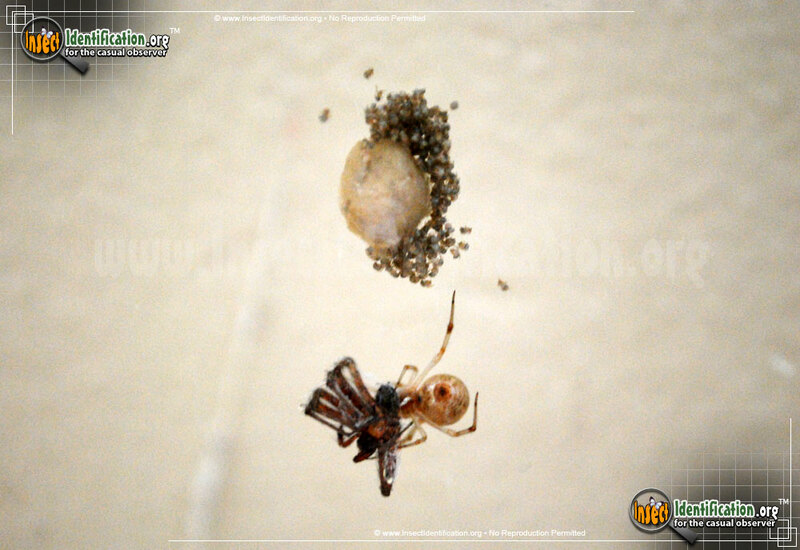 Females lay eggs in a pear-shaped, brown, papery egg case and hang it from the web. Mothers guard their eggs until they hatch and can live fore more than a year. 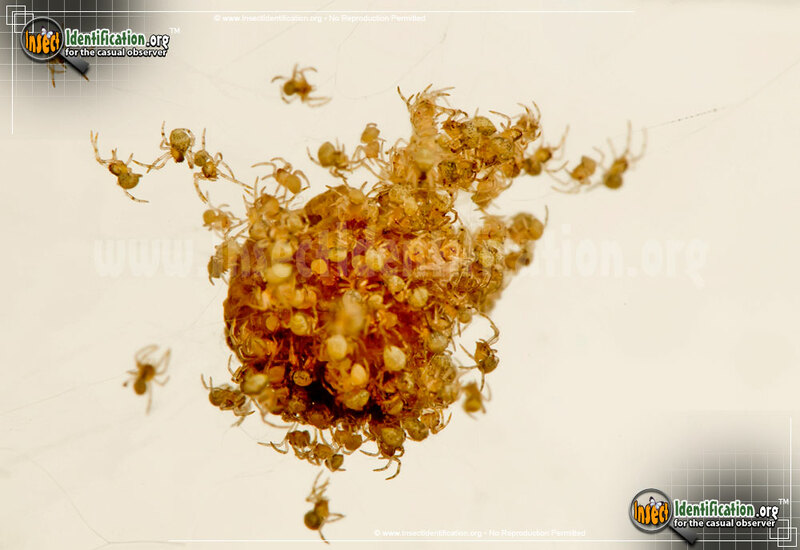 Spiderlings may remain in the safety of their mother's web for a few days, but eventually disperse to find their own home. 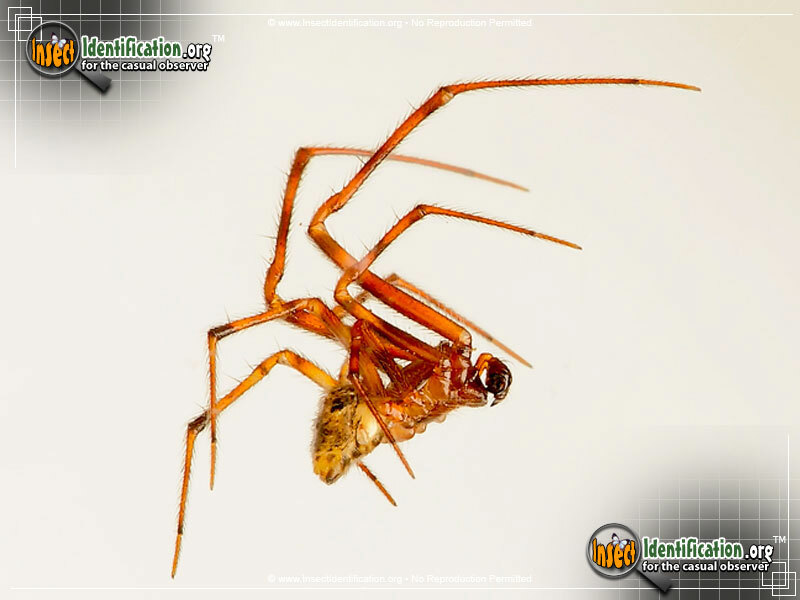 American House Spiders are ubiquitous and help control insect populations. Look for them in corners on the floor or ceiling indoors and under eaves and overhangs outside. Or don't look for them, and allow these roommates to clean house for you.